Stefano and Gemma have one of those relationships that everyone just loves hearing about. They met, fell in love and EVERYONE loves them together. The got engaged in their wedding venue this past winter and their love for all things country made Le Silve di Armenzano the absolute BEST venue for them! It was perfect!! This country house is one of the most AMAZING venues in Assisi! Incredible food from their products, breathtaking view on the Umbrian hills, a big garden perfect for some romantic portraits during the golden hour! They excenged their wows in the beautiful church of San Pietro in Assisi, the oldest church of Umbria! Everywhere there were flowers arranged by Roberta of Un Fiore in Tasca! Gemma’s bouquet was a mix of pink English roses and Astilbe. For the reception they chose big garlands hang to the ceiling. 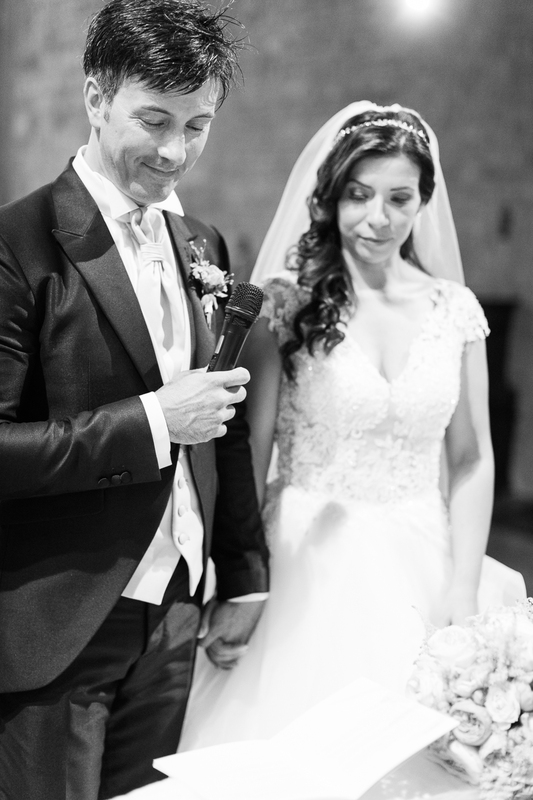 Enjoy this gorgeous wedding at San Pietro in Assisi and Le Silve di Armenzano and congrats Stefano and Gemma!! !